The Lauriston Airport upgrade and expansion project, is an activity the people of Carriacou and Petite Martinique have been long awaiting. The China Harbour Engineering Company (CHEC) has been engaged by government to execute the expansion and upgrade project at Lauriston in Carriacou, as well as a project to upgrade and improve Maurice Bishop International Airport (MBIA). 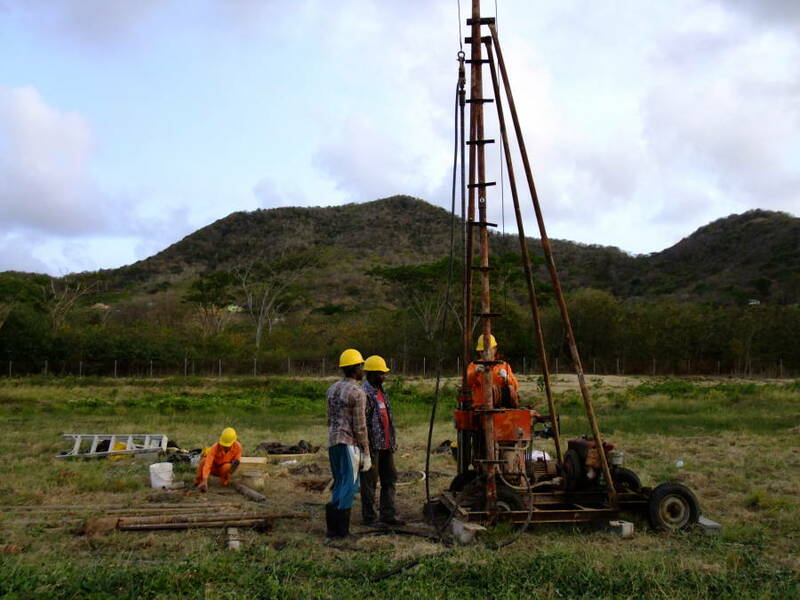 CHEC has already mobilised its engineers, who are on the ground in Carriacou doing the required geotechnical surveys and studies. These studies aim to answer questions related to the length and direction of the runway, the placement of aircraft aprons, the terminal building, the fire station etc. CHEC has already rented living quarters for its project engineers in Carriacou, and is in the process of fabricating its site office which will serve as the point of contact between the company and the local community. It is government’s plan to have the LIAT 72-seater fly into Carriacou. However, further aeronautical studies are being conducted to determine whether the runway will be able to accommodate aircrafts of that size. These studies will take into consideration wind direction and speed – elements which will have direct impact on flight landing and takeoff. 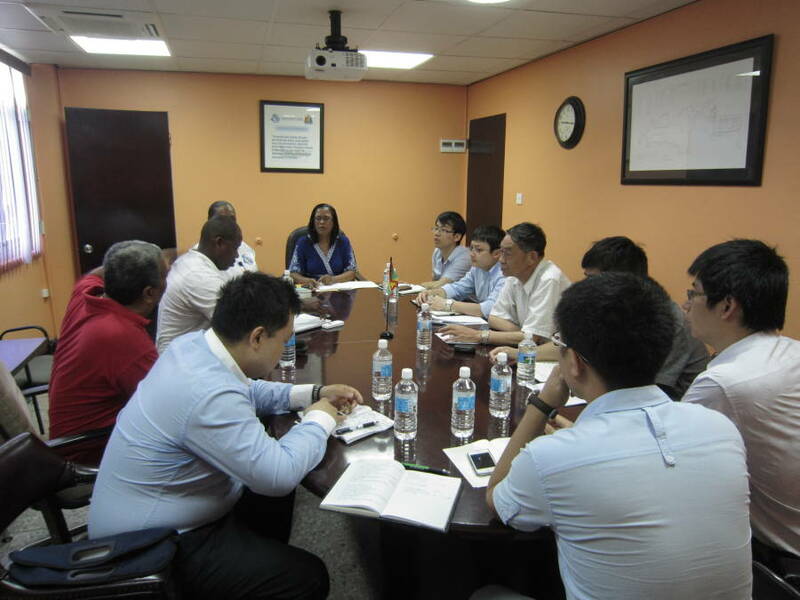 Last Thursday, a team of experts from the Antigua-based Eastern Caribbean Civil Aviation Authority (ECCAA), visited Grenada and held meetings with officials from Government, the Airport Authority, CHEC and other direct stakeholders. A notable presence at these meetings was Mr Lin Linsheng, a world famous Chinese expert in the area of airport design and construction. Mr Lin was hired by CHEC to lend his over-40 years experience to the process, and to assure the Government and people of Grenada that the company would spare no resources in ensuring that the best expertise is available for the airport projects. In a later meeting held at the Ministry of Works, CHEC delivered a preliminary report, to present its findings from initial surveys conducted both at Lauriston and MBIA. This presentation provoked discussions from all concerned and provided clarity on the way forward. Coming out of that meeting, it was agreed by all parties that more options should be considered in the execution of the projects going forward. In just weeks, CHEC will be rounding up the flood mitigation project in St Mark – a project which received rave reviews from the works ministerial team. Local economists have suggested that Grenada has experienced the full effects of the global economic downturn, perhaps much later than many international and even regional countries. It is therefore no surprise that the island is slowly clawing its way out of these tough economic times, as government embarks on a number of projects, aimed at putting Grenada back on a path to sustainable development.